Controlling your speed is probably the most effective action you can take when dealing with any hazard. The slower you are going, the easier it will be to deal with any type of problem in the roadway. Also, the slower your speed at the time of any type of collision will help to minimize the damage and/or harm. There may also be times when you want to increase your speed to avoid a potential hazard, although these times are less frequent. An example could be speeding up a little bit to increase your distance from another car trying to merge into your lane on the highway. Either way, changing speeds is a highly effective way to deal with hazards. Adjusting the position of your vehicle is another way to avoid potential problems. Moving to the left to avoid a bicycle on your side of the road or moving to the right to give oncoming traffic more room so that they can deal with a mail truck are two examples of changing your position to help deal with hazards. Sometimes a position change needs to be drastic, like leaving the roadway to avoid hitting a deer. Communication with other road users is also effective in avoiding a possible conflict while driving. 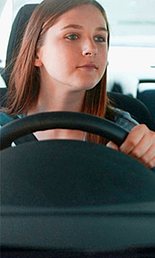 Using your lights or waving your hands are ways you can communicate your intentions to other drivers. Using your car horn can warn other drivers, pedestrians, or even animals of your presence if you think that they don't see you. The ultimate goal when you get behind the wheel is to do all you can to help reduce risk and thus reduce the possibility of damage or harm. 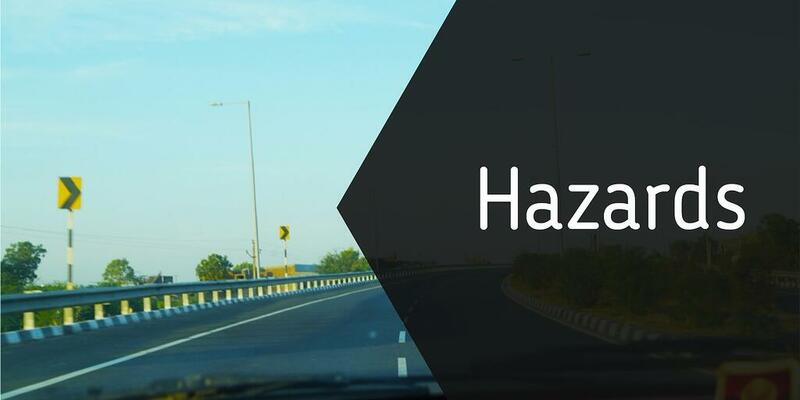 Any hazard that you encounter on the roadway adds to your level of risk. By adjusting speed, adjusting position, and communicating you will do your part in keeping the roadway safe for all. Don't have your CT License yet? 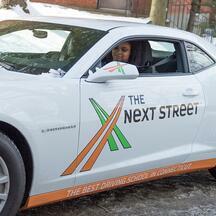 The Next Street offers driving programs for both teens and adults!